Avengers vs Dark Knight Rises: Superhero Smackdown! Warning: This is really just me rambling and processing my thoughts after being wowed by the two movies, rather than a review. And there could be some SPOILERS in there so proceed with caution. As an unabashed DC fanboy, I have to admit a certain degree of envy as I’ve watched Marvel’s movie strategy unfold. Despite a few hurdles, it has had something DC have generally lacked – a sense that they actually know what they are doing! The shining exception has been the Batman movies helmed by Christopher Nolan. So, it was a great deal of anticipation that I waited to see whether the final Batman movie could possibly compete with Avengers, which completely blew me away. The short answer is that it couldn’t. Not that it wasn’t incredible, it’s just that they are completely different sorts of movies and it would be like comparing apples and oranges. Now, this might seem a little odd, considering that they are both ostensibly super hero movies, but they represent two distinct types, and the pinnacle of those at that. I am going to cheat a little though, and discuss the Batman trilogy as a whole because I think that is the only way to approach it. Even though Avengers benefits hugely from watching the movies leading up to it, and one has to admire the coherence of Marvel’s vision, at a pinch you could watch it cold and still thoroughly enjoy it. 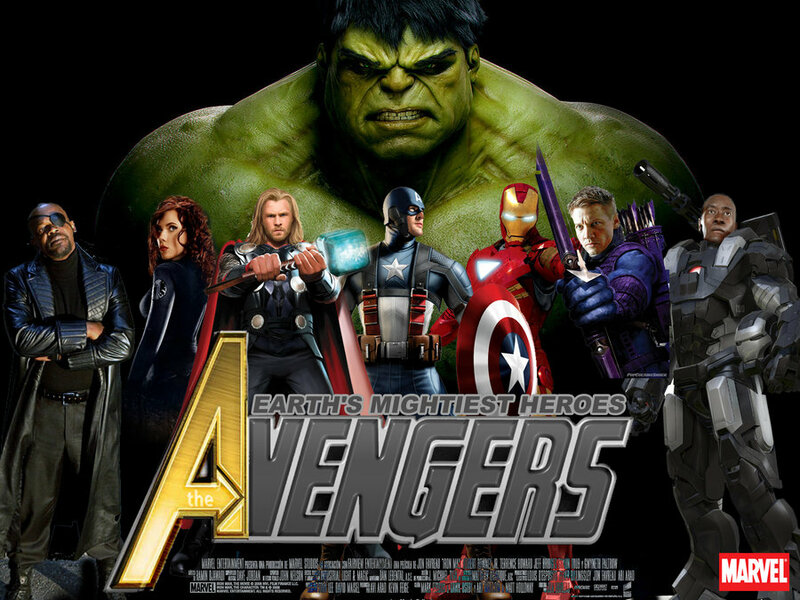 The Avengers is very much a spectacle movie. It’s built around its stunning special effects and the sheer scale of the mayhem. Fortunately, the CGI doesn’t over power the movie as has been the case in too many other super hero films. That’s not to say that the acting is not of an extremely high quality, it’s an excellent cast with lots of strong performances and the chemistry is delightful, and we do get a look at what makes the character’s tick. But, it is very much about seeing how many things they can break and that’s what makes it so fun. The movie is immediately identifiable as a Joss Whedon work, with his trademark snappy banter, and ability to mix humour and actions without being ham fisted about it. The Hulk was the surprise package to me, there were quite a few moments when the whole cinema was laughing with genuine humour. George Lucas should take note, that is how you do comedic relief! I bet that the studio didn’t pick that the Hulk would be so popular, especially given his previous track record. This entry was posted in Geek, Pop Culture and tagged Batman, Dark Knight Rises, super heroes, Superman movie, The Avengers on July 31, 2012 by David. Deadline’s Mike Fleming has the scoop! As probably should’ve been expected, Warner Bros. has brought together its two geek-friendly visionaries – Christopher Nolan and Zack Snyder – to reinvent what should be the studio’s most valuable franchise after the HARRY POTTER series concludes. It’s hard not to get giddy at the thought of a Snyder-directed, Nolan-produced SUPERMAN: THE MAN OF STEEL. The screenplay is being written by David Goyer, and it’s expected the film will be completed in time to clean up during the 2012 holiday season. Looking over the directors who were allegedly in the running, it appears this gig was Snyder’s to either lose or turn down. Though I would’ve been interested in seeing what Duncan Jones, Darren Aronofsky or Matt Reeves might’ve done with the character, the studio needed a filmmaker both comfortable with working on a large scale under crushing expectations, and capable of delivering tentpole production value. That’s why this was only ever going to go to Snyder or Tony Scott – with Jonathan Liebesman lurking as a dark horse (provided BATTLE: LOS ANGELES lives up to the Comic Con hype). And, apparently Zod to be the villian? I hope so, I have said it before (and I will say it again) a superhero movie needs a super powered villian, otherwise it is ALWAYS a let down. This entry was posted in Geek and tagged Superman movie on October 5, 2010 by David.